Be Sure to Check Your SPAM Folder for our First Response! What is My Warehouse Auto Program Discount? Complete the form below to get a quick response on the best price for your Warehouse club membership. What is My Military Member Discount? Complete the form below to get a quick response on the best price for your military discount. *1 NEW ONLY AT THIS PRICE. Stock# R190259. $35060 MSRP -$750 Tacoma Dodge discount -$1500 Rebate = $32810 Selling price. Call Paul Pineda, 253-376-8081 Direct for Details. 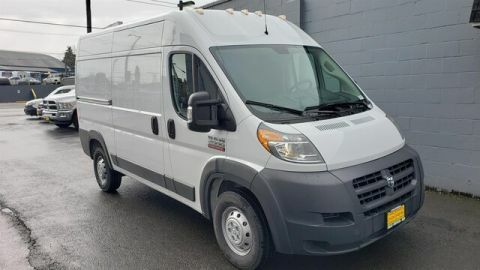 Tacoma Dodge Commercial Vehicle Department 3808 S Tacoma Way Tacoma, WA 98409 Commercial vehicle upfits may be installed, and pricing will be in addition to the vehicle MSRP. Commercial vehicle bonus cash may require additional documentation to prove business ownership for purchaser to qualify for the bonus cash. All manufacturer bonus cash is based on where the vehicle will be registered, and is subject to change. The advertised price does not include sales tax, vehicle registration fees, finance charges and any other fees required by law. A negotiable Documentary Service Fee in an amount up to $150 may be added to the sale price or capitalized cost. We attempt to update this inventory on a regular basis. However, there can be lag time between the sale of a vehicle and the update of the inventory. See dealer for further details. *1 NEW ONLY AT THIS PRICE. Stock# R190271. $35060 MSRP -$750 Tacoma Dodge discount -$1500 Rebate = $32810 Selling price. Call Paul Pineda, 253-376-8081 Direct for Details. 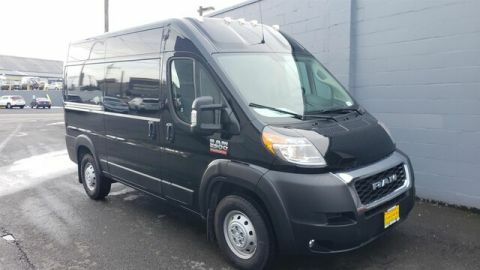 Tacoma Dodge Commercial Vehicle Department 3808 S Tacoma Way Tacoma, WA 98409 Commercial vehicle upfits may be installed, and pricing will be in addition to the vehicle MSRP. Commercial vehicle bonus cash may require additional documentation to prove business ownership for purchaser to qualify for the bonus cash. All manufacturer bonus cash is based on where the vehicle will be registered, and is subject to change. The advertised price does not include sales tax, vehicle registration fees, finance charges and any other fees required by law. A negotiable Documentary Service Fee in an amount up to $150 may be added to the sale price or capitalized cost. We attempt to update this inventory on a regular basis. However, there can be lag time between the sale of a vehicle and the update of the inventory. See dealer for further details. Recent Arrival! *1 NEW ONLY AT THIS PRICE. Stock# R180751. $36420 MSRP +$3485 Harbor Shelving and partition -$1500 Tacoma Dodge discount -$2750 Rebate -$1000 Upfit bonus -$1500 West Commercial bonus = $33155 Selling price. Call our dedicated RAM Work Trucks team 253-235-0886. Direct for Details. Tacoma Dodge Chrysler Jeep RAM Commercial Vehicle Department 3808 S Tacoma Way Tacoma, WA 98409 Commercial vehicle upfits may be installed, and pricing will be in addition to the vehicle MSRP. Commercial vehicle bonus cash may require additional documentation to prove business ownership for purchaser to qualify for the bonus cash. All manufacturer bonus cash is based on where the vehicle will be registered, and is subject to change. The advertised price does not include sales tax, vehicle registration fees, finance charges and any other fees required by law. A negotiable Documentary Service Fee in an amount up to $150 may be added to the sale price or capitalized cost. We attempt to update this inventory on a regular basis. However, there can be lag time between the sale of a vehicle and the update of the inventory. See dealer for further details. Recent Arrival! *1 NEW ONLY AT THIS PRICE. Stock# R190253. $35695 MSRP -$750 Tacoma Dodge discount -$1500 Rebate = $33445 Selling price. Call Paul Pineda, 253-376-8081 Direct for Details. 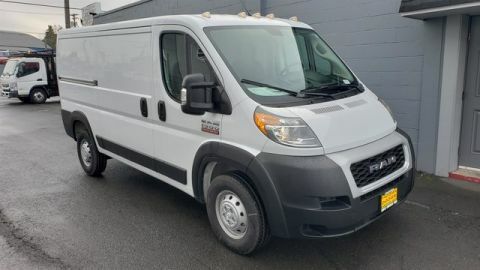 Tacoma Dodge Commercial Vehicle Department 3808 S Tacoma Way Tacoma, WA 98409 Commercial vehicle upfits may be installed, and pricing will be in addition to the vehicle MSRP. Commercial vehicle bonus cash may require additional documentation to prove business ownership for purchaser to qualify for the bonus cash. All manufacturer bonus cash is based on where the vehicle will be registered, and is subject to change. The advertised price does not include sales tax, vehicle registration fees, finance charges and any other fees required by law. A negotiable Documentary Service Fee in an amount up to $150 may be added to the sale price or capitalized cost. We attempt to update this inventory on a regular basis. However, there can be lag time between the sale of a vehicle and the update of the inventory. See dealer for further details. Recent Arrival! *1 NEW ONLY AT THIS PRICE. Stock# R180608. $37220 MSRP -$1000 Tacoma Dodge discount -$2750 Rebate = $33470 Selling price. Call Paul Pineda, 253-376-8081 Direct for Details. 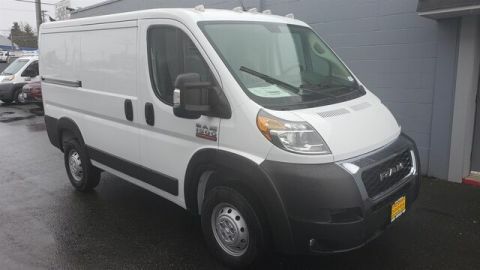 Tacoma Dodge Commercial Vehicle Department 3808 S Tacoma Way Tacoma, WA 98409 Commercial vehicle upfits may be installed, and pricing will be in addition to the vehicle MSRP. Commercial vehicle bonus cash may require additional documentation to prove business ownership for purchaser to qualify for the bonus cash. All manufacturer bonus cash is based on where the vehicle will be registered, and is subject to change. The advertised price does not include sales tax, vehicle registration fees, finance charges and any other fees required by law. A negotiable Documentary Service Fee in an amount up to $150 may be added to the sale price or capitalized cost. We attempt to update this inventory on a regular basis. However, there can be lag time between the sale of a vehicle and the update of the inventory. See dealer for further details. Recent Arrival! *1 NEW ONLY AT THIS PRICE. Stock# R180520. $37430 MSRP -$1000 Tacoma Dodge discount -$2750 Rebate = $33680 Selling price. Call Paul Pineda, 253-376-8081 Direct for Details. 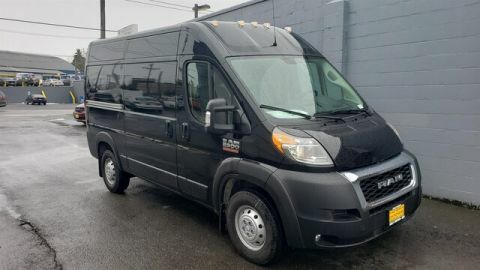 Tacoma Dodge Commercial Vehicle Department 3808 S Tacoma Way Tacoma, WA 98409 Commercial vehicle upfits may be installed, and pricing will be in addition to the vehicle MSRP. Commercial vehicle bonus cash may require additional documentation to prove business ownership for purchaser to qualify for the bonus cash. All manufacturer bonus cash is based on where the vehicle will be registered, and is subject to change. The advertised price does not include sales tax, vehicle registration fees, finance charges and any other fees required by law. A negotiable Documentary Service Fee in an amount up to $150 may be added to the sale price or capitalized cost. We attempt to update this inventory on a regular basis. However, there can be lag time between the sale of a vehicle and the update of the inventory. See dealer for further details. *1 NEW ONLY AT THIS PRICE. Stock# R180455. $38495 MSRP -$1000 Tacoma Dodge discount -$2750 Rebate = $34745 Selling price. Call Paul Pineda, 253-376-8081 Direct for Details. 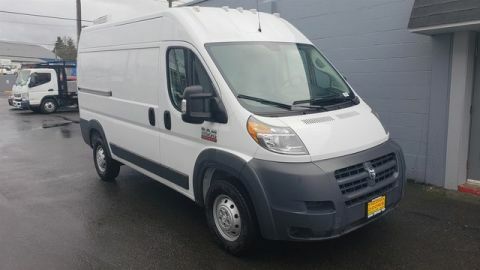 Tacoma Dodge Commercial Vehicle Department 3808 S Tacoma Way Tacoma, WA 98409 Commercial vehicle upfits may be installed, and pricing will be in addition to the vehicle MSRP. Commercial vehicle bonus cash may require additional documentation to prove business ownership for purchaser to qualify for the bonus cash. All manufacturer bonus cash is based on where the vehicle will be registered, and is subject to change. The advertised price does not include sales tax, vehicle registration fees, finance charges and any other fees required by law. A negotiable Documentary Service Fee in an amount up to $150 may be added to the sale price or capitalized cost. We attempt to update this inventory on a regular basis. However, there can be lag time between the sale of a vehicle and the update of the inventory. See dealer for further details. Recent Arrival! *1 NEW ONLY AT THIS PRICE. Stock# R180742. $38020 MSRP +$3485 Harbor Shelving and partition -$1500 Tacoma Dodge discount -$2750 Rebate -$1000 Upfit bonus -$1500 West Commercial bonus = $34755 Selling price. Call Paul Pineda, 253-376-8081 Direct for Details. 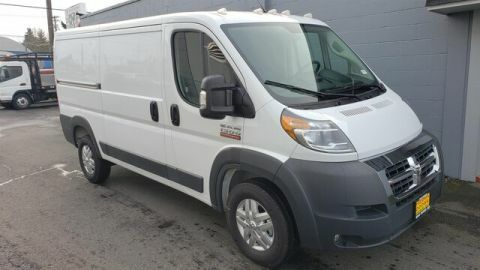 Tacoma Dodge Commercial Vehicle Department 3808 S Tacoma Way Tacoma, WA 98409 Commercial vehicle upfits may be installed, and pricing will be in addition to the vehicle MSRP. Commercial vehicle bonus cash may require additional documentation to prove business ownership for purchaser to qualify for the bonus cash. All manufacturer bonus cash is based on where the vehicle will be registered, and is subject to change. The advertised price does not include sales tax, vehicle registration fees, finance charges and any other fees required by law. A negotiable Documentary Service Fee in an amount up to $150 may be added to the sale price or capitalized cost. We attempt to update this inventory on a regular basis. However, there can be lag time between the sale of a vehicle and the update of the inventory. See dealer for further details. Recent Arrival! *1 NEW ONLY AT THIS PRICE. Stock# R180752. $38020 MSRP +$3485 Harbor Shelving and partition -$1500 Tacoma Dodge discount -$2750 Rebate -$1000 Upfit bonus -$1500 West Commercial bonus = $34755 Selling price. Call our dedicated RAM Work Trucks team 253-235-0886. Direct for Details. Tacoma Dodge Chrysler Jeep RAM Commercial Vehicle Department 3808 S Tacoma Way Tacoma, WA 98409 Commercial vehicle upfits may be installed, and pricing will be in addition to the vehicle MSRP. Commercial vehicle bonus cash may require additional documentation to prove business ownership for purchaser to qualify for the bonus cash. All manufacturer bonus cash is based on where the vehicle will be registered, and is subject to change. The advertised price does not include sales tax, vehicle registration fees, finance charges and any other fees required by law. A negotiable Documentary Service Fee in an amount up to $150 may be added to the sale price or capitalized cost. We attempt to update this inventory on a regular basis. However, there can be lag time between the sale of a vehicle and the update of the inventory. See dealer for further details. Recent Arrival! 1 NEW ONLY AT THIS PRICE. Stock# R180490. $38595 MSRP -$1000 Tacoma Dodge discount -$2750 Rebate = $34845 Selling price. Call Paul Pineda, 253-376-8081 Direct for Details. 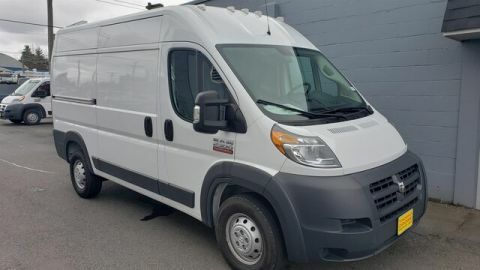 Tacoma Dodge Commercial Vehicle Department 3808 S Tacoma Way Tacoma, WA 98409 Commercial vehicle upfits may be installed, and pricing will be in addition to the vehicle MSRP. Commercial vehicle bonus cash may require additional documentation to prove business ownership for purchaser to qualify for the bonus cash. All manufacturer bonus cash is based on where the vehicle will be registered, and is subject to change. The advertised price does not include sales tax, vehicle registration fees, finance charges and any other fees required by law. A negotiable Documentary Service Fee in an amount up to $150 may be added to the sale price or capitalized cost. We attempt to update this inventory on a regular basis. However, there can be lag time between the sale of a vehicle and the update of the inventory. See dealer for further details. Recent Arrival! *1 NEW ONLY AT THIS PRICE. Stock# R190202. $37160 MSRP -$750 Tacoma Dodge discount -$1500 Rebate = $34910 Selling price. Call Paul Pineda, 253-376-8081 Direct for Details. 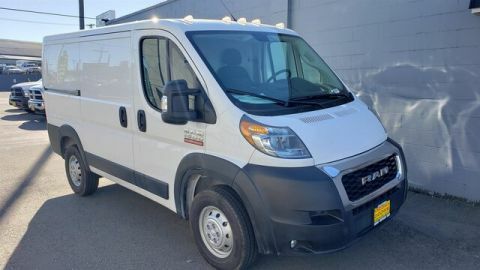 Tacoma Dodge Commercial Vehicle Department 3808 S Tacoma Way Tacoma, WA 98409 Commercial vehicle upfits may be installed, and pricing will be in addition to the vehicle MSRP. Commercial vehicle bonus cash may require additional documentation to prove business ownership for purchaser to qualify for the bonus cash. All manufacturer bonus cash is based on where the vehicle will be registered, and is subject to change. The advertised price does not include sales tax, vehicle registration fees, finance charges and any other fees required by law. A negotiable Documentary Service Fee in an amount up to $150 may be added to the sale price or capitalized cost. We attempt to update this inventory on a regular basis. However, there can be lag time between the sale of a vehicle and the update of the inventory. See dealer for further details. Recent Arrival! *1 NEW ONLY AT THIS PRICE. Stock# R190196. $37160 MSRP -$750 Tacoma Dodge discount -$1500 Rebate = $34910 Selling price. Call Paul Pineda, 253-376-8081 Direct for Details. 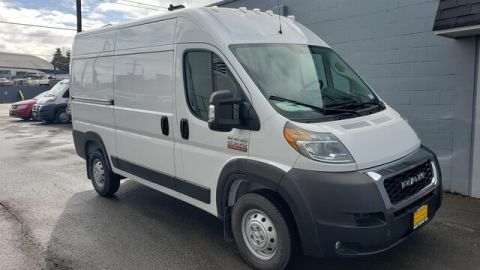 Tacoma Dodge Commercial Vehicle Department 3808 S Tacoma Way Tacoma, WA 98409 Commercial vehicle upfits may be installed, and pricing will be in addition to the vehicle MSRP. Commercial vehicle bonus cash may require additional documentation to prove business ownership for purchaser to qualify for the bonus cash. All manufacturer bonus cash is based on where the vehicle will be registered, and is subject to change. The advertised price does not include sales tax, vehicle registration fees, finance charges and any other fees required by law. A negotiable Documentary Service Fee in an amount up to $150 may be added to the sale price or capitalized cost. We attempt to update this inventory on a regular basis. However, there can be lag time between the sale of a vehicle and the update of the inventory. See dealer for further details. Recent Arrival! *1 NEW ONLY AT THIS PRICE. Stock# R190281. $35695 MSRP -$750 Tacoma Dodge discount -$1500 Rebate = $33445 Selling price. Call Paul Pineda, 253-376-8081 Direct for Details. 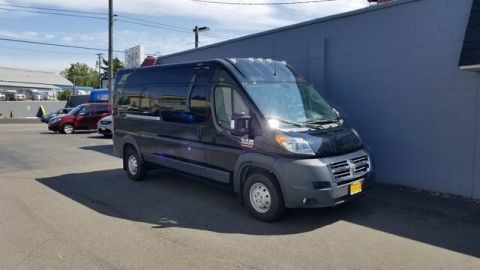 Tacoma Dodge Commercial Vehicle Department 3808 S Tacoma Way Tacoma, WA 98409 Commercial vehicle upfits may be installed, and pricing will be in addition to the vehicle MSRP. Commercial vehicle bonus cash may require additional documentation to prove business ownership for purchaser to qualify for the bonus cash. All manufacturer bonus cash is based on where the vehicle will be registered, and is subject to change. The advertised price does not include sales tax, vehicle registration fees, finance charges and any other fees required by law. A negotiable Documentary Service Fee in an amount up to $150 may be added to the sale price or capitalized cost. We attempt to update this inventory on a regular basis. However, there can be lag time between the sale of a vehicle and the update of the inventory. See dealer for further details. Recent Arrival! *1 NEW ONLY AT THIS PRICE. Stock# R180410. $40020 MSRP -$1000 Tacoma Dodge discount -$2750 Rebate = $36270 Selling price. Call Paul Pineda, 253-376-8081 Direct for Details. 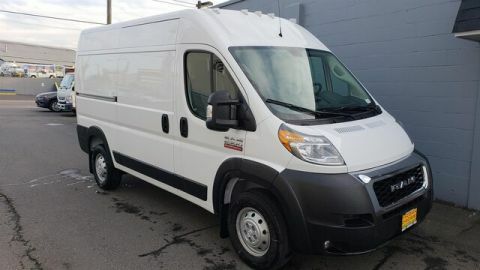 Tacoma Dodge Commercial Vehicle Department 3808 S Tacoma Way Tacoma, WA 98409 Commercial vehicle upfits may be installed, and pricing will be in addition to the vehicle MSRP. Commercial vehicle bonus cash may require additional documentation to prove business ownership for purchaser to qualify for the bonus cash. All manufacturer bonus cash is based on where the vehicle will be registered, and is subject to change. The advertised price does not include sales tax, vehicle registration fees, finance charges and any other fees required by law. A negotiable Documentary Service Fee in an amount up to $150 may be added to the sale price or capitalized cost. We attempt to update this inventory on a regular basis. However, there can be lag time between the sale of a vehicle and the update of the inventory. See dealer for further details. Recent Arrival! *1 NEW ONLY AT THIS PRICE. Stock# R190201. $38645 MSRP -$1500 Rebate = $37145 Selling price. Call Paul Pineda, 253-376-8081 Direct for Details. 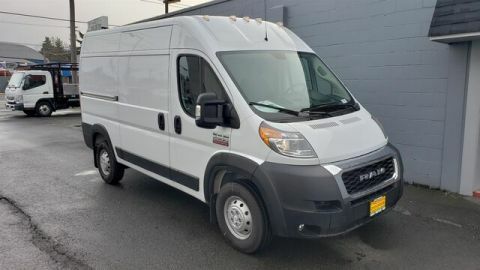 Tacoma Dodge Commercial Vehicle Department 3808 S Tacoma Way Tacoma, WA 98409 Commercial vehicle upfits may be installed, and pricing will be in addition to the vehicle MSRP. Commercial vehicle bonus cash may require additional documentation to prove business ownership for purchaser to qualify for the bonus cash. All manufacturer bonus cash is based on where the vehicle will be registered, and is subject to change. The advertised price does not include sales tax, vehicle registration fees, finance charges and any other fees required by law. A negotiable Documentary Service Fee in an amount up to $150 may be added to the sale price or capitalized cost. We attempt to update this inventory on a regular basis. However, there can be lag time between the sale of a vehicle and the update of the inventory. See dealer for further details. Recent Arrival! *1 NEW ONLY AT THIS PRICE. Stock# R190231. $40495 MSRP -$1000 Tacoma Dodge discount -$1500 Rebate = $37995 Selling price. Call Paul Pineda, 253-376-8081 Direct for Details. 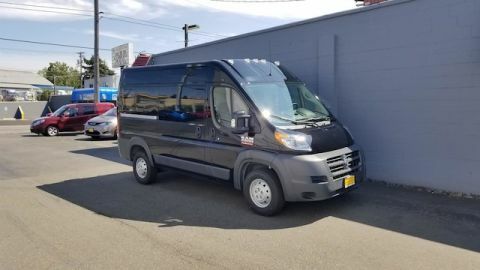 Tacoma Dodge Commercial Vehicle Department 3808 S Tacoma Way Tacoma, WA 98409 Commercial vehicle upfits may be installed, and pricing will be in addition to the vehicle MSRP. Commercial vehicle bonus cash may require additional documentation to prove business ownership for purchaser to qualify for the bonus cash. All manufacturer bonus cash is based on where the vehicle will be registered, and is subject to change. The advertised price does not include sales tax, vehicle registration fees, finance charges and any other fees required by law. A negotiable Documentary Service Fee in an amount up to $150 may be added to the sale price or capitalized cost. We attempt to update this inventory on a regular basis. However, there can be lag time between the sale of a vehicle and the update of the inventory. See dealer for further details. Recent Arrival! *1 NEW ONLY AT THIS PRICE. Stock# R190234. $40495 MSRP -$1000 Tacoma Dodge discount -$1500 Rebate = $37995 Selling price. Call Paul Pineda, 253-376-8081 Direct for Details. 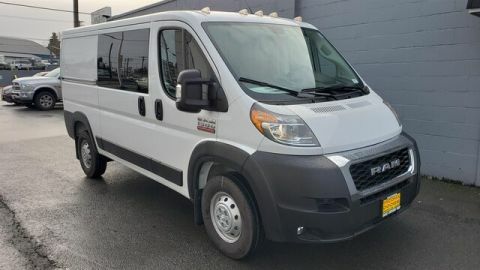 Tacoma Dodge Commercial Vehicle Department 3808 S Tacoma Way Tacoma, WA 98409 Commercial vehicle upfits may be installed, and pricing will be in addition to the vehicle MSRP. Commercial vehicle bonus cash may require additional documentation to prove business ownership for purchaser to qualify for the bonus cash. All manufacturer bonus cash is based on where the vehicle will be registered, and is subject to change. The advertised price does not include sales tax, vehicle registration fees, finance charges and any other fees required by law. A negotiable Documentary Service Fee in an amount up to $150 may be added to the sale price or capitalized cost. We attempt to update this inventory on a regular basis. However, there can be lag time between the sale of a vehicle and the update of the inventory. See dealer for further details. Recent Arrival! *1 NEW ONLY AT THIS PRICE. Stock# R190266. $40495 MSRP -$1000 Tacoma Dodge discount -$1500 Rebate = $37995 Selling price. Call Paul Pineda, 253-376-8081 Direct for Details. 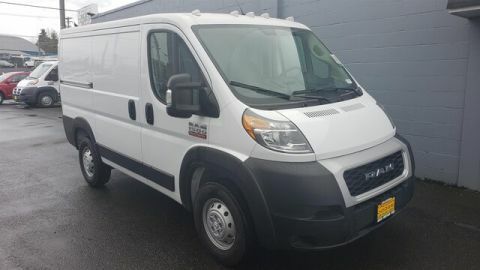 Tacoma Dodge Commercial Vehicle Department 3808 S Tacoma Way Tacoma, WA 98409 Commercial vehicle upfits may be installed, and pricing will be in addition to the vehicle MSRP. Commercial vehicle bonus cash may require additional documentation to prove business ownership for purchaser to qualify for the bonus cash. All manufacturer bonus cash is based on where the vehicle will be registered, and is subject to change. The advertised price does not include sales tax, vehicle registration fees, finance charges and any other fees required by law. A negotiable Documentary Service Fee in an amount up to $150 may be added to the sale price or capitalized cost. We attempt to update this inventory on a regular basis. However, there can be lag time between the sale of a vehicle and the update of the inventory. See dealer for further details. *1 NEW ONLY AT THIS PRICE. Stock# R190273. $40595 MSRP -$1000 Tacoma Dodge discount -$1500 Rebate = $38095 Selling price. Call Paul Pineda, 253-376-8081 Direct for Details. 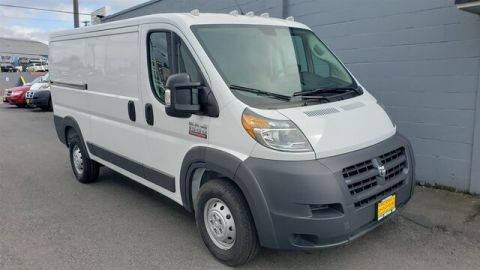 Tacoma Dodge Commercial Vehicle Department 3808 S Tacoma Way Tacoma, WA 98409 Commercial vehicle upfits may be installed, and pricing will be in addition to the vehicle MSRP. Commercial vehicle bonus cash may require additional documentation to prove business ownership for purchaser to qualify for the bonus cash. All manufacturer bonus cash is based on where the vehicle will be registered, and is subject to change. The advertised price does not include sales tax, vehicle registration fees, finance charges and any other fees required by law. A negotiable Documentary Service Fee in an amount up to $150 may be added to the sale price or capitalized cost. We attempt to update this inventory on a regular basis. However, there can be lag time between the sale of a vehicle and the update of the inventory. See dealer for further details. Recent Arrival! *1 NEW ONLY AT THIS PRICE. Stock# R190263. $40595 MSRP -$1000 Tacoma Dodge discount -$1500 Rebate = $38095 Selling price. Call Paul Pineda, 253-376-8081 Direct for Details. 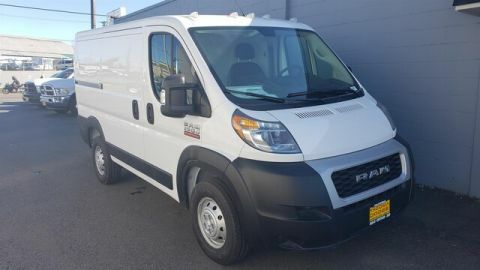 Tacoma Dodge Commercial Vehicle Department 3808 S Tacoma Way Tacoma, WA 98409 Commercial vehicle upfits may be installed, and pricing will be in addition to the vehicle MSRP. Commercial vehicle bonus cash may require additional documentation to prove business ownership for purchaser to qualify for the bonus cash. All manufacturer bonus cash is based on where the vehicle will be registered, and is subject to change. The advertised price does not include sales tax, vehicle registration fees, finance charges and any other fees required by law. A negotiable Documentary Service Fee in an amount up to $150 may be added to the sale price or capitalized cost. We attempt to update this inventory on a regular basis. However, there can be lag time between the sale of a vehicle and the update of the inventory. See dealer for further details. The advertised price does not include sales tax vehicle registration fees finance charges and any other fees required by law. A Negotiable Documentary Service Fee in an amount up to $150.00 may be added to the sale price or capitalized cost. We attempt to update this inventory on a regular basis. However there can be lag time between the sale of a vehicle and the update of the inventory. 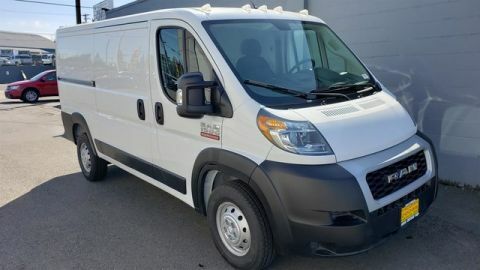 Before purchasing this vehicle it is your responsibility to address any and all differences between information on this website and the actual vehicle specifications and/or any warranties offered prior to the sale of this vehicle. Vehicle data on this website is compiled from publicly available sources believed by the publisher to be reliable. Vehicle data is subject to change without notice. The publisher assumes no responsibility for errors and/or omissions in this data the compilation of this data and makes no representations express or implied to any actual or prospective purchaser of the vehicle as to the condition of the vehicle vehicle specifications ownership vehicle history equipment/accessories price or warranties. Tacoma Dodge Chrysler Jeep Ram	47.2193529, -122.4838919.